The new “INSPIRED BY YOU” claim is the ultimate expression of the brand’s new dynamic and follows on from “CREATIVE TECHNOLOGIE”, which was introduced in 2009. 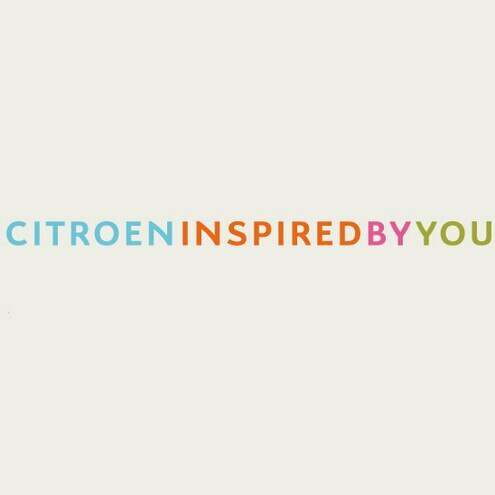 More than just a signature, “Inspired by You” is the creed behind Citroën’s unique solutions in terms of product, technology, services and customer relations. The new advert, https://youtu.be/9BG_o1_rdi4, highlights the “INSPIRED BY YOU” signature. The 5-year Unlimited mileage warranty is exclusive to Citroën customers in Ireland and offers complete peace of mind and reinforces that your local Authorized Citroën Dealership is the best place to purchase a new vehicle.